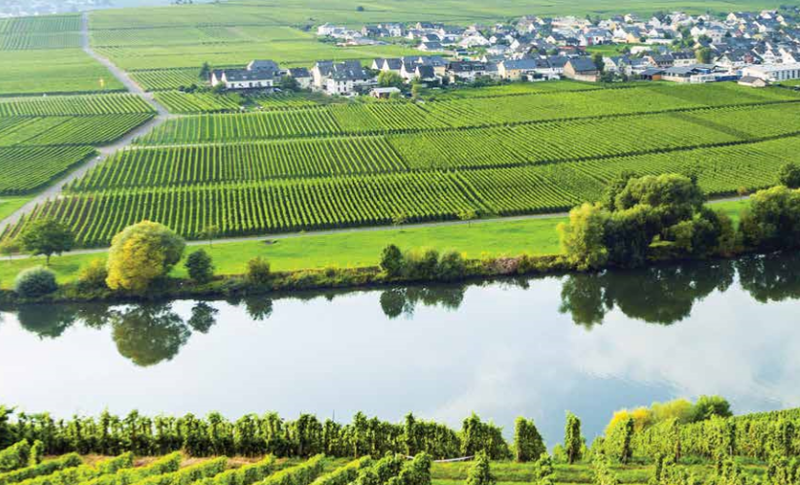 Jeannine Williamson enjoyed the taste of life on Flora, cruising along the Rhine and Moselle rivers. “If it’s good for your soul it can’t be bad for you,” says wine producer Erben Dillinger as he raises another glass of Riesling and invites us to join him in a tasting that quickly dispels any stereotypical views about German wine being overly sweet. We work our way through delicious samples of white and rosé from the family-owned vineyard dating back 350 years, and starting at under £4 a bottle I’m tempted to take back some liquid souvenirs – particularly as the wine from Bernkastel-Kues is renowned for its medicinal properties. According to local legend the 14th century archbishop Boemund II fell seriously ill while staying in Landshut Castle and was miraculously cured when he drank the local wine. Today, the castle ruins overlook the town, which is lined by steep vineyards stretching right down to the banks of the Moselle, and you can buy bottles of restorative ‘Bernkasteler Doctor’ wine. As Erben waves us on our slightly unsteady way, it’s probably just as well that A-Rosa Flora is moored close by. The German river cruise line provides a real taste of its homeland, from onboard experiences to small-group shore excursions that provide an insight into different destinations, as opposed to mass tours that scratch the surface with an overload of quickly-forgotten facts and figures. Although A-Rosa was founded back in 2000 as a joint venture between shipping company Deutsche Seereederei (DSR) and P&O, and is now solely owned by DSR, it’s not a name familiar in the UK. That is set to change as its cruises are now being sold here – and you certainly can’t miss the distinctive white vessels decorated with rose petals and a huge pair of red lips across the bow holding a rose. Last year 1,600 UK passengers travelled with the line, and A-Rosa hopes to double the number in 2015. Flora, launched in 2014, is the newest ship in the 11-strong fleet. 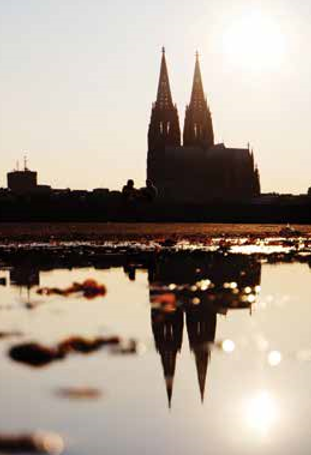 Carrying 186 passengers, it sails on four to nine-night itineraries on the Rhine, Main, Moselle and Danube. Our week-long cruise started in Cologne on a glorious afternoon, and it was fitting to sip a glass of German beer, served from the circular bar on the sun deck, as we headed off along the Rhine against the backdrop of the Gothic twin-spired cathedral that is Germany’s largest church and the country’s most visited site. All vessels plying the waters of central Europe are restricted in height and length in order to navigate locks and low bridges, so they look fairly similar on the outside. It’s inside where designers can make their mark, and Flora has some very nice touches. I particularly liked the way the public rooms have been divided. The lounge bar, at the front of the vessel, is smaller than most, giving it a much more intimate feel. A cosy little area alongside the bar, with a few high tables, stools and a banquette overlooking the river, soon became one of my favourite spots to sit and watch the world drift by. Similarly the restaurant, split into two areas, has the atmosphere of a proper dining room. Instead of the usual central buffet dominating the middle of the room, with circling queues at busy times, the food stations are tucked away at the side of the ship. Another big difference is the fact that all meals are buffet-style, aside from one à la carte dinner included in the fare (with the option to buy others) served in the small dining room and restricted to 36 diners. It won’t appeal to those who like to be waited on hand and foot, but I enjoyed the flexibility of being able to pick and choose exactly what I wanted – and where to sit and eat it – at each meal. The buffets also provide the perfect opportunity to sample the large choice of fresh, and mainly regional dishes, and go back for seconds or thirds! These include dinnertime curiosities such as pretzel bake (think savoury bread and butter pudding) and curry sauce with sausages at breakfast. For the less adventurous, there are plenty of familiar dishes, a surprisingly good vegetarian choice and A-Rosa’s tasty home-made rye bread, which you can buy at the end of the cruise as an edible memento. Drinks, including an open bar throughout the day, are also included, making meals very cordial affairs. The first morning took us to Koblenz, at the confluence of the Rhine and Moselle, and the one included shore excursion in our itinerary. Flora is one of A-Rosa’s ‘international’ ships, where English-speaking passengers benefit from a dedicated onboard host and, in this case, what was akin to a private tour for the two of us with an informative local guide who took us around the old town and by cable car to the 19th century fortress that provided a panorama across Koblenz and the two rivers. Most days we wandered around pretty wine towns such as Rudesheim and Cochem under our own steam, as Flora moored right in the heart of town, and one morning we hired bikes to pedal along flat cycle paths through vineyards at Mainz. 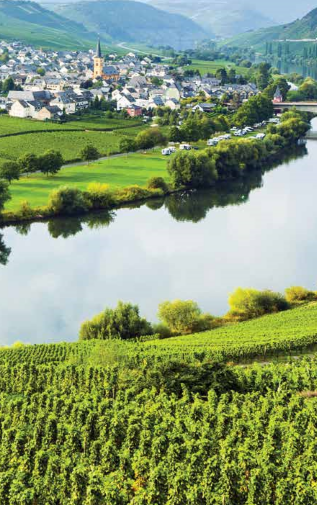 Sailing from the Rhine into the quieter, narrower Moselle, we signed up for the wine tasting tour at Bernkastel-Kues, a town divided into two halves by the river. It was one of the highlights, and after a guided walk around the old town, stopping to take photos of an extraordinarily tall and pointed 15th century gabled house, we settled down to the tasting with the affable Herr Dillinger. Back onboard we were well looked after by Josef, the internationa l host, and most evenings ended in the lounge being entertained by the inimitable Enzo, who moved effortlessly from quiz master to DJ, keyboard player to guitarist and vocalist to trumpeter. Our shipmates were a jolly bunch, chatting, dancing and enjoying a nightcap well after the usual witching hour of 10pm. In fact, A-Rosa does attract a much wider age group, with quite a few in their 30s and 40s as well as the usual river cruise demographic of 55-plus. The lack of dawn to dusk ‘hand holding’ is undoubtedly part of the appeal to more independent passengers, along with fitness facilities and amenities that are much better than most. These include a pool on the sun deck, where it’s possible to swim more than a couple of strokes, a gym and spa with treatment rooms, a large relaxation area and novel sauna with windows overlooking the river. From its bright, modern decor to the red rose you receive on arrival (complete with a stem vase filled with water waiting in the cabin), A-Rosa definitely stands out from the river cruise crowd. Gratuities: Included in the fare. additional tips are discretionary and can be given to individual crew members or left in a box at reception at the end of the cruise, to be shared equally between the crew.